Alice Finch and David Frank clearly love the world of The Lord of the Rings as much as they love Lego, because you don't just cruise through an incredible 200,000 block build without a heaping helping of pure passion. 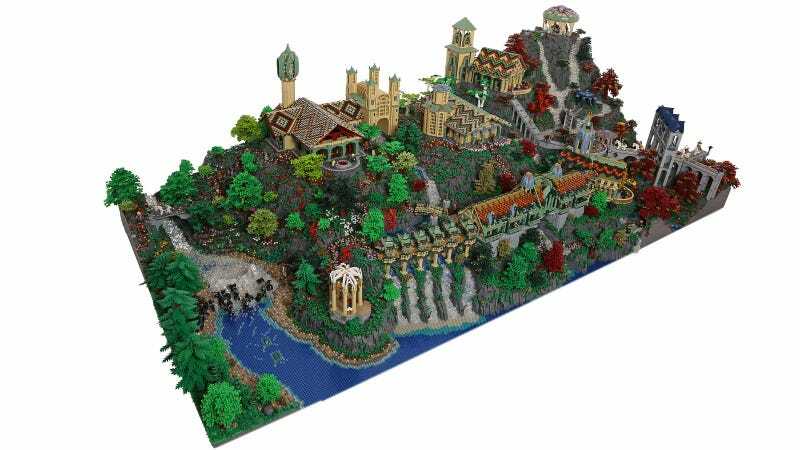 This insane brick Rivendell is fandom incarnate. After studiously watching The Fellowship of the Ring and poring over some other models of the elven town, David and Alice poked at the project all throughout 2013, sifting though thousands of pieces on BrickLink and putting them all to excruciatingly creative use.